Home » Blogs » AnnMaria » Why Do We Put Off Making Changes? Why Do We Put Off Making Changes? Here it is, another issue of the Start-up Diaries, Santiago edition. I was talking with a friend of mine in Start-up Chile, she runs Mi Manuel de Bebe (your baby instruction manual) , one of the biggest parenting sites in Colombia. Like me, she had been saying for years she was going to expand in Latin America, outside of her home country, even going so far to travel to Chile and Peru. But it took her moving to Chile to do it. For over a year, we’ve been saying at 7 Generation Games that we were going to expand more in the Spanish-speaking market, revise our Spanish language website (yes, our brand in Latin America is Strong Mind Studios ) . We even made bilingual games. Still, it took me moving to Chile to do it. Why do we put off changes we are perfectly capable of making? The title of this post was a little misleading, because I really don’t know. 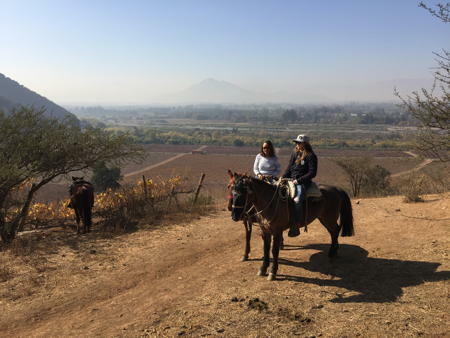 However, you haven’t completely wasted your time reading because I do have three ideas as to why many of us at Start-up Chile in Santiago have started seeing significant leaps forward in our businesses after a rough few months. Do you want to get better at teaching fractions? Want to learn Ojibwe history and culture? 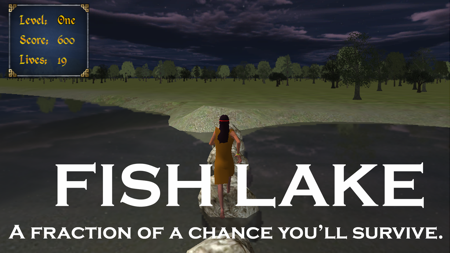 Check out Fish Lake. We know it’s going to be hard. From becoming fluent in Spanish to getting pilot schools in a new country where I knew literally no one, changes I’ve made since being here have been just as hard as I expected, or sometimes harder. If you were looking for one of those up-lifting “The hardest thing is getting started” posts, this isn’t it. Some days it feels as if the hardest part is all of it. While having a realistic appraisal of how hard changes are might keep you from starting, I think that also keeps you from quitting once you do start, because you know what you are getting into. We made a public commitment. Not only did all of us here commit to building our business in Chile, but we did it publicly. It was announced on their website. We told our families, customers, investors and friends and then we got on a plane and flew here, or, in the case of our Chilean friends, quit our day jobs. We couldn’t pretend at the end of the year that we really weren’t serious about expanding our businesses. If we fail, it will be a public failure and that certainly lends some motivation. We made plans, not wishes. Even though the SUP board meetings can be a bit annoying some times, they serve a very useful purpose. Every one of us was required to give written objectives we were going to achieve after 3 months and after 7 months. We couldn’t just say “market our games in Chile”, we had to give actual numbers of contacts we would make and customers we would get. That accountability made us actually focus on getting those things done. So, maybe you don’t want to pack up and move to another country. You still have the option of adopting those three steps and making the changes you’ve been putting off. If you are a teacher, you KNOW you have that long list of things you were going to do over the summer. Just pick one! Three months from now you’ll be asking yourself why you put it off for so long.